During the first half of the 20th century, the world was largely divided between a handful of great powers, their colonies and spheres of interest. Neither the first world war nor the formal independence of China did much to lessen their influence in Chinese affairs and Shanghai in particular. Which countries were great powers and what state were they in in 29127? During the 18th and 19th centuries the mighty British Empire had conquered greater territories than any other empire in the history of the world. In particular, it was known for its vast Indian holdings. The British Empire had also been the country that more than any other had established European access to and partial dominance over China. However, the first world war had significantly weakened the empire, both through losses of citizens and material during the war itself and by forcing it to turn its attention from its colonies. This tendency was exacerbated by a strong independence movement in India under the leadership of the lawyer Mohandas Gandhi. Despite this weakness, the British Empire was still one of the strongest of the great powers, had the largest territory in the world and the British was the dominant foreign group in Shanghai. Like the United Kingdoms, France had built a vast colonial empire spanning the globe during the 19th century and were the second most important group of foreigners in Shanghai with their own independent territory. However, France had been weakened even more by the first world war and their colonial empire was significantly smaller and its role in Chinese affairs was often to serve as the right hand man of the British. Following its unification and the proclamation of the German Empire in 1871, Germany had been a rapidly growing power that attempted to build its own colonial empire, primarily in the parts of Africa, China and the Pacific not already occupied by the British and the French. 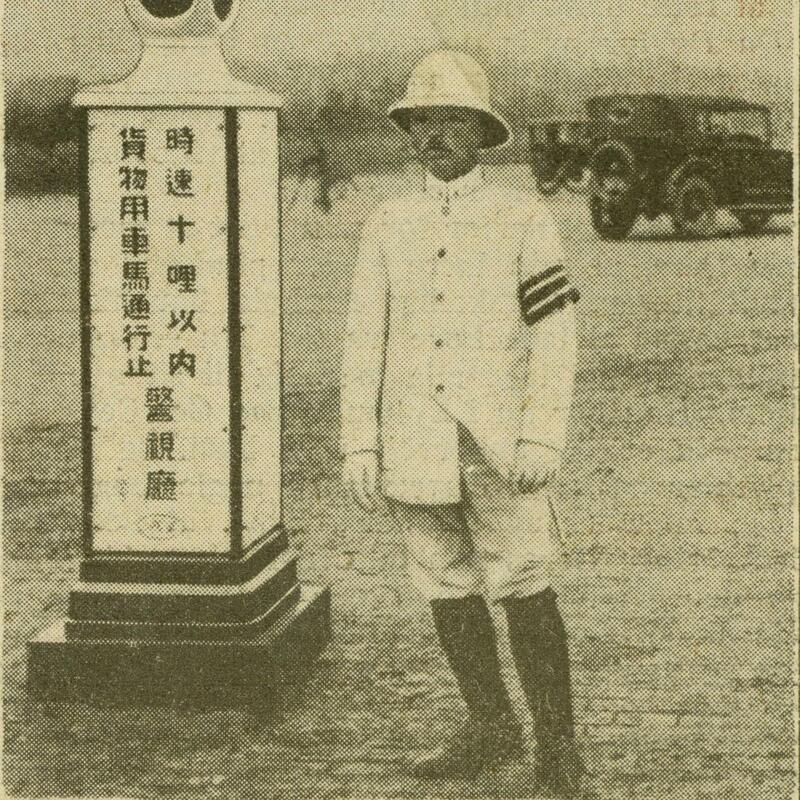 The German defeat in the first world war, had meant that its colonial holdings had been split among the victors, in China this primarily meant Japan. Thus Germany had become largely economically and politically irrelevant on the world scene in the 1920s. This changed after Hitler's rise to power in the early 1930s after which Germany became China's foremost international partner for a few years, before instead allying with Japan in the middle of the decade. By the turn the 20th century, the US had not only definitely conquered the vast territory between Canada in the north and Mexico in the south, but had also established itself as a colonial power with the conquest of the Philippines. Furthermore, the first world war had shown the country to be the world's foremost industrial and military power. However, the US still remained a more geographically constrained power than the great colonial empires and the US played a smaller role in China than the UK, France, Russia and Japan. Due to Russia's gradual colonization and conquest of vast territories in northern Asia, the British long viewed it as its main rival in China. This came to a grinding halt with the Russian Revolution in 1917 and the subsequent civil war. The civil war displaced a tens of thousands of Russians and a significant number ended up in exile in Shanghai, where they found themselves in a precarious position as the absolute bottom of the white hierarchy. Following the civil war, Russia was reborn as the Communist Soviet Union, which supported both the Chinese Communists and the Guomindang as part of its search for international partners. This allowed the country to play a significant role in China in the interwar period. 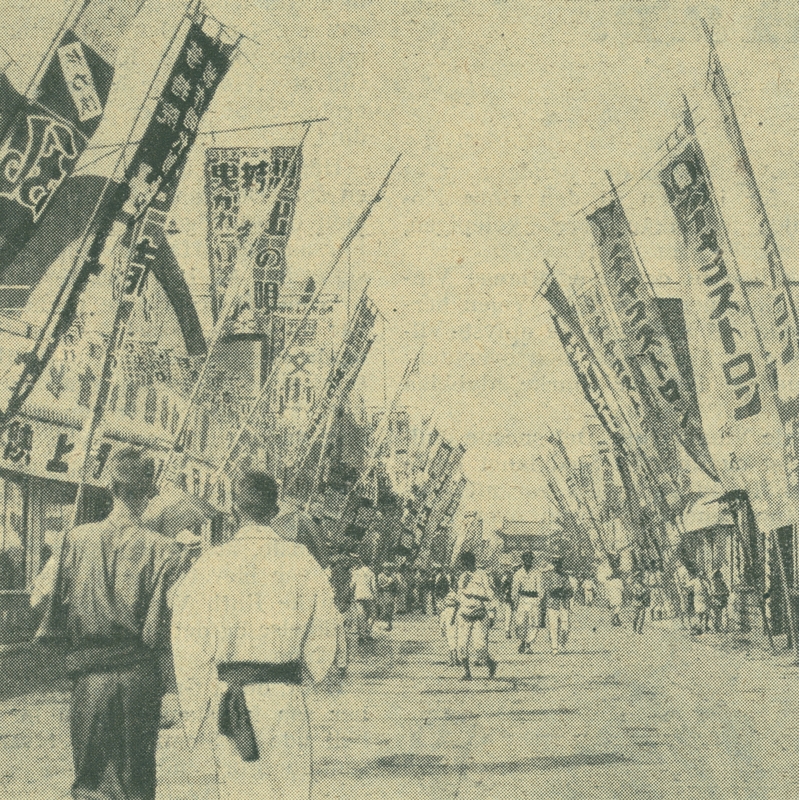 Interwar Japan was a rapidly rising power, not just in East Asia but globally as well. Following a coup in 1868, it had become the only country without a white leadership to successfully modernize its economy and administration. Subsequently, Japan had fought a series of war to establish its dominance over much of East Asia, most prominently Korea, and shown its might by defeating Russia in the Russo-Japanese war in 1905. 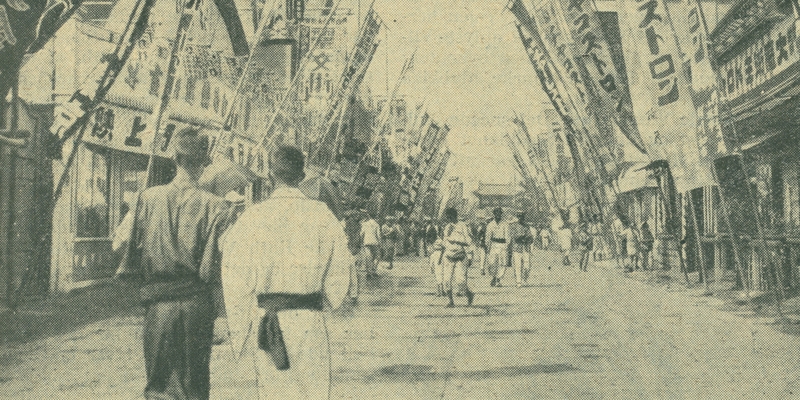 The peace settlement following the first world war, granted dominance over the Russian and German spheres of interest in China to Japan. A series of military coups during the interwar period reinforced this expansionist policy in China with the annexation of Manchuria in 1931 and the invasion in 1937 as the consequence. Our correspondent has sent an exciting report from Japan which will surely make people think more deeply about the low level of development of the Chinese. I'm sitting at a café in Ginza, the most modern district of Tokyo, enjoying a cup of the finest coffee and a piece of cake that wouldn't be out of place at the most distinguished establishments in Paris, while watching the traffic outside. This was where the first western district in Japan was built in the 1870s, a cheap knockoff of what people had seen in the US with poorly made structures and no architectonic refinement. But that is no more. Following the earthquake four years ago, Ginza was rebuilt as a new, truly modern district with western shops allowing the Japanese elite to buy the latest thing. Of course, there's still a way to the most luxurious district in London or New York, and naturally also to our own Bund and Nanjing Road, but otherwise few places are superior. Outside the window, the bustle of Japan is visible, most of the men wearing the latest in suits, while the women are more oldfashioned and stick to their native kimonos. Among the shoppers, you occasionally see a Japanese police officer in a modern, western uniforn, but in an effort to preserve his samurai honor he carries a sword next to his baton. There are still limits to how western the Japanese want to be. This is readily visible if you venture outside Ginza and a handful of other modern enclaves, out in the everyday prts of Japan where you're suddenly surrounded by people in kimonos and long, low rows of wooden houses. You would think that the Japanese would build something new following the earthquake, but they're a proud people who won't easily discard their culture for something more rational if it doesn't outright cause them trouble. Among these low buildings, you can still see signs that modernity isn't reserved for a select few. Everywhere you go in a Japanese city you see the smokestacks of the country's many modern factories. Sure, you can do that at home as well, but here they're all owned by locals and can be found across the country. I haven't been to a factory, but throughout my journey industry has been a constant presence and supposedly the backyards beyond the low, traditional buildings hold machinery for industrial production. That's something quite different from the Chinese who can barely run a small silkworks, even though they only have to look down the street to see the greatest European examples. This contrast only grew cleared yesterday when I visited Yokohama and, from an appropriate distance of course, saw the proud navy of Japan in the harbor. The naval base was naturally guarded by Japanese soldiers who act with the greatest discipline and clearly take their duties seriously, even if it is merely standing guard over a base that no Japanese person would ever dream of breaking into. The contrast to the Chinese back home is stunning. The Japanese respect the military, who in turn earns this respect by acting according to the highest standards and keeping their equipment in pristine condition. 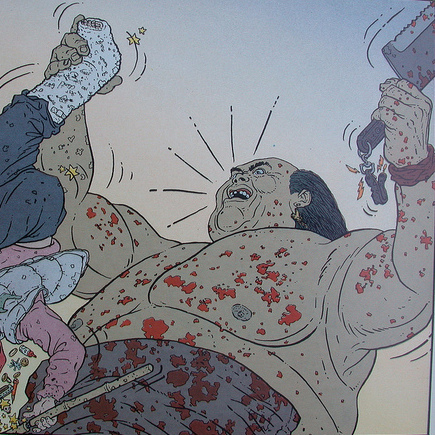 In general, Japan is a country that proves that orientals can adopt western culture without abandoning their own ways. One particularly new development is the sight of Japanese students in the streets wearing modern, western uniforms tailored in a military style, an easy fit for the respect the Japanese show their military. While the boys have had their clean,stylish black uniforms with a military cap for a number of years, it is becoming ever more common. What's new is that Japanese girls schools have introduced western uniforms based on that of British navy sailors, but with a neat, pleated skirt, as well. The color of the uniform and the way the collar is tied in front shows which school the student is from. In just a few short years, no Japanese student will wear traditional clothes anymore, instead wearing these kinds of uniforms. But even so, the Japanese aren't so modern that they've stopped practicing their ancient animist faith centered on the holy mountain Fuji-yama, which every Japanese person who has the means makes the trip to climb at least once in their lives. When you see this beautiful mountain rise from the plains below, it isn't hard to see why. It has become a popular destination among western visitors to Japan as well. Tomorrow I will make the trip myself.